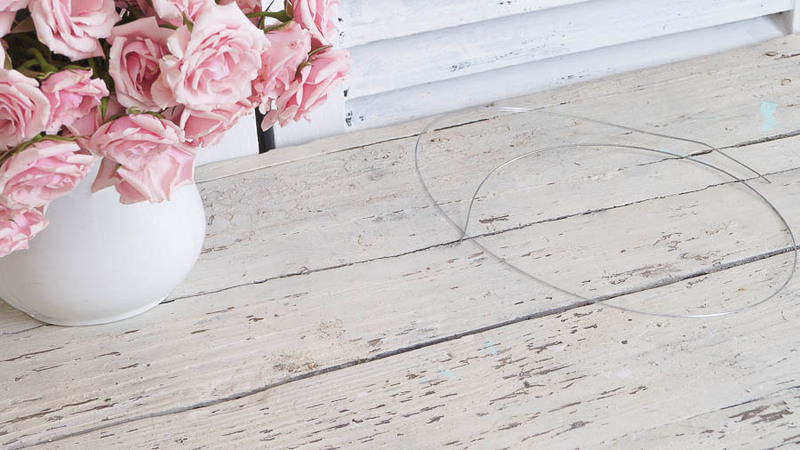 Hi let me introduce myself, I’m Anne from White Lace Cottage. 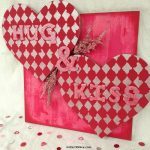 I write a home decorating and DIY blog. 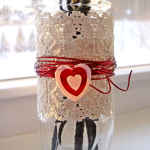 Before I share a fun little Valentine craft, I would like to thank Laura for inviting me today! A few years ago on a cold Winter day, while my daughter and I were practically stuck in our home, we decided to make a craft. 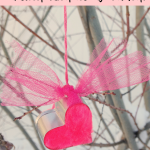 We searched our home for supplies we already had on hand and came up with this very simple-to-make Valentine Fabric Scrap Heart Wreath. 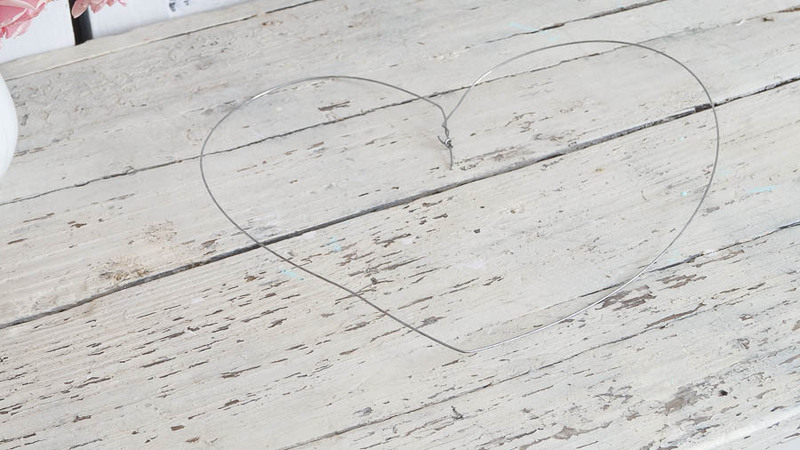 First shape your wire into a heart shape. The metal wire is pretty bendable. 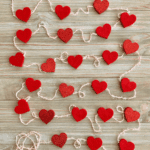 Just work with it until you get your simple heart wreath shape. Mine is 10 x 11 inches. Next, get your fabric and cut a small 1/2 inch slit (on the fabric), then rip it. 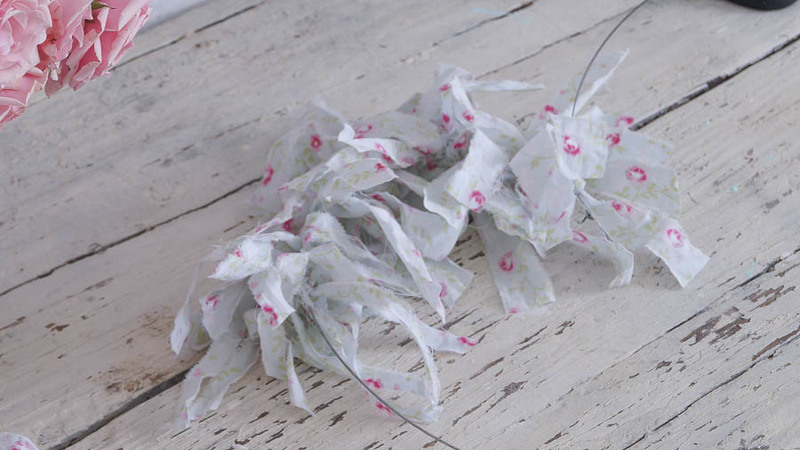 This will make the ends tattered and will give it a feathered, vintage look. 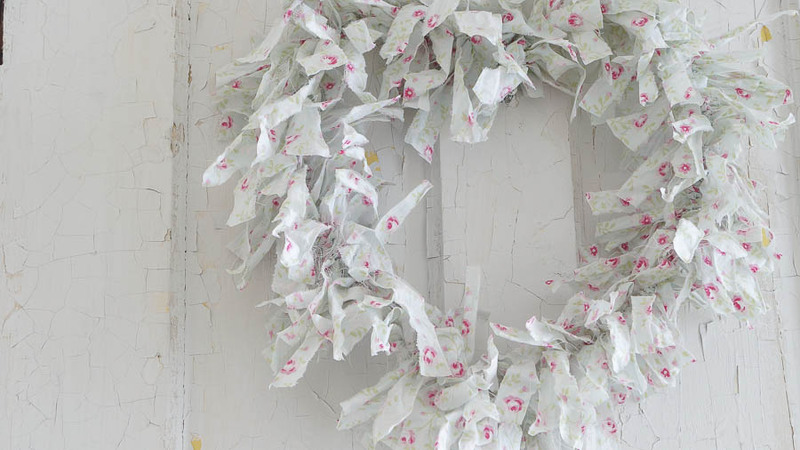 Then start tying your half inch wide strips along your wreath. These strips should be approx 5 – 6 inches long. Don’t measure just eyeball it and see what length you like. This project is not about perfection, just have fun! As you can see the strips are not all the same length, and that’s the way it should look. 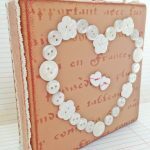 Just keep working around the heart shaped wire frame, until your frame is filled up with your fabric strips. Here I have the wreath hanging on my favorite vintage chippy door. I love how tattered and shabby this looks. 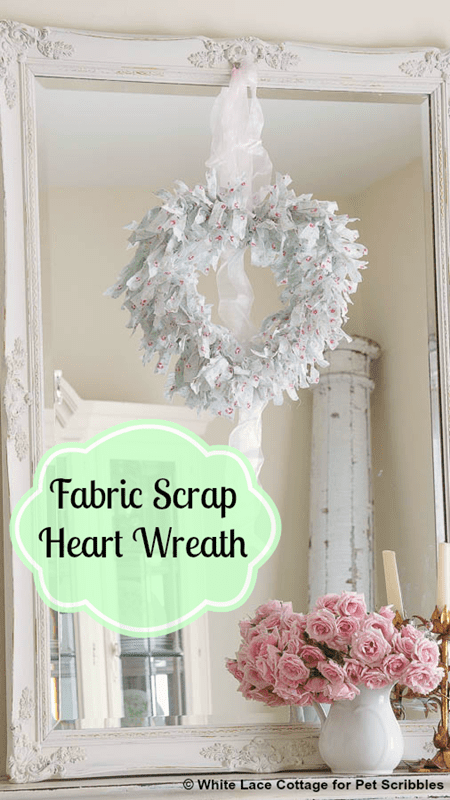 This simple fabric scrap heart wreath is pretty hung from my mirror too! Besides using fabric you can also use this same method but you can use curly yarn that’s used for rag dolls. That yarn will give it a whole different look. I’ve also used muslin, which is really pretty too! And if you want a traditional red Valentine wreath by all means use red fabric. A great place to find fabric cheap is the thrift store. The fabric that I used for this project was a bed skirt. Thrift shops always have pretty fabrics: look at sheets, napkins and other bed linens. 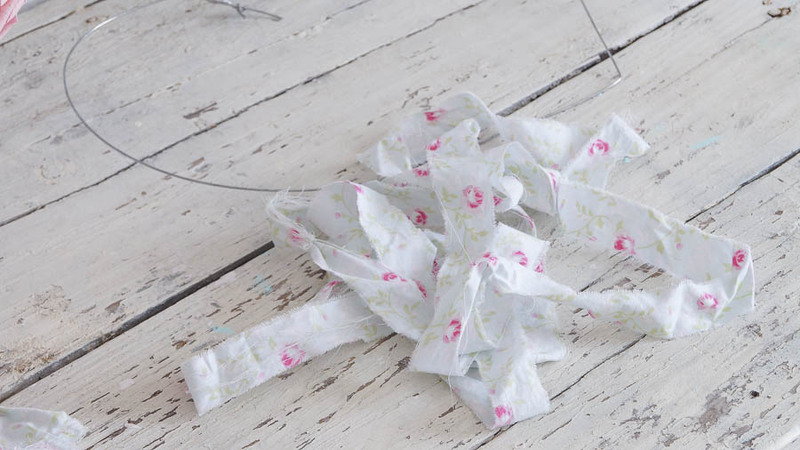 These fabrics can be cut up and used in lots of crafts. So when you’re looking for fabric, think outside the box. 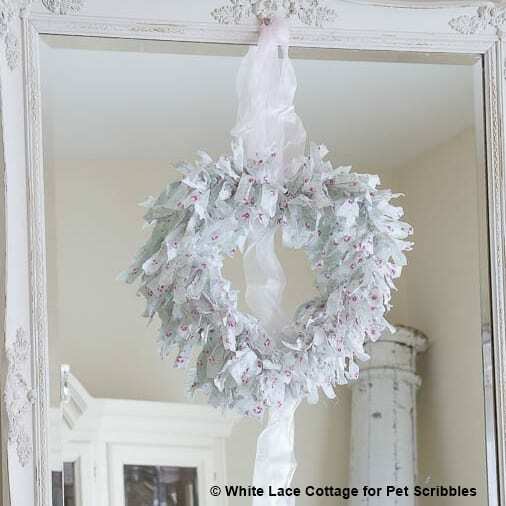 For more simple crafts, and decorating ideas with vintage style visit whitelacecottage.com. This is too cute! I’ve been thinking I want to make a Valentine’s wreath. This one seems simple enough! Isn’t Anne’s wreath pretty? I’m thinking the hardest step would be making the heart shape with wire. If I can master that, I’m definitely going to make one of these! Thanks Katie! As my printer is broken, would it be possible to mail a copy to me. Thank you. I very much enjoy this site and have used many of your ideas, as has my daughter. 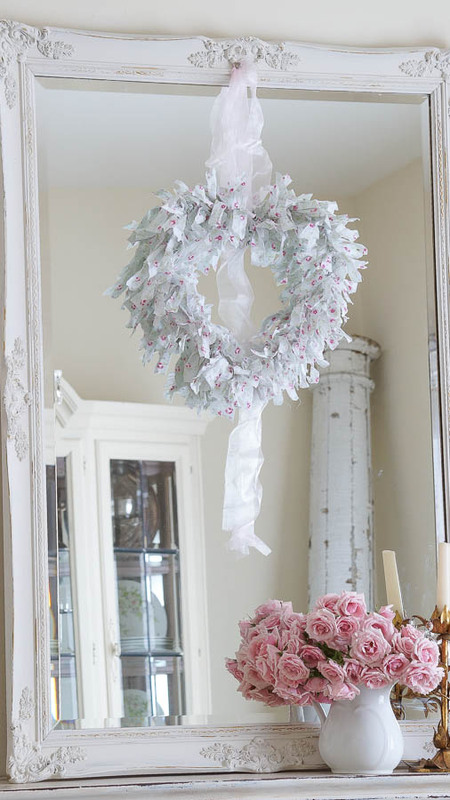 Love the heart shaped wreath. Can’t wait to make it. Thanks, your site is beautiful! perfect words to describe Anne’s wreath! Laura, and Anne, what a sweet little wreath. I’m glad you shared it at Shabbilicious Friday this past week Laura. I’m delighted to be featuring it at tomorrow’s party. How wonderful Kerryanne! I just KNEW it was the perfect Shabbilicious style for you! 🙂 Can’t wait to tell Anne! 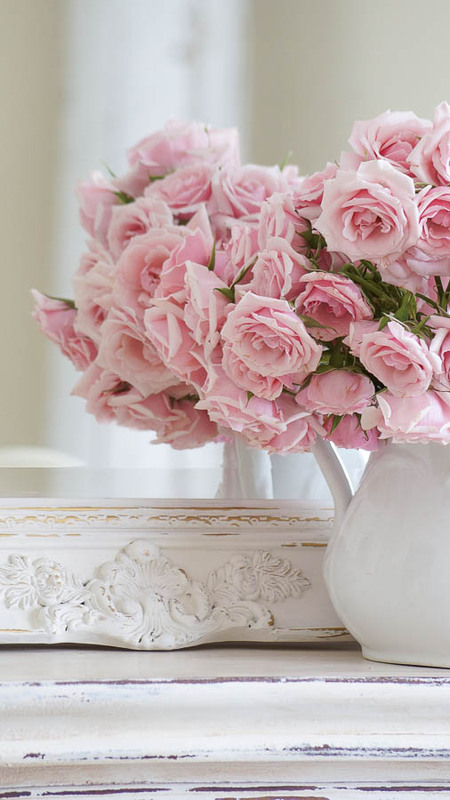 So very pretty and romantic.